Before anyone suggests otherwise, this is not a joke. I know as much about this as anyone really. Stan Lee, via Pow! 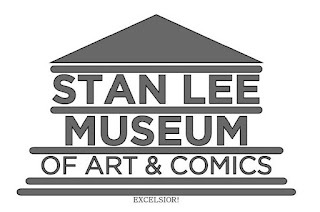 Entertainment, has decided that the world needs a Stan Lee Museum of Art and Comics. What's the bet that it's bricks and mortars and that it happens, physically, well before the much hyped Jack Kirby Museum? And won't that annoy a lot of people. Get used to it. Stan is very rich these days, if he wants a museum, he gets a museum. Just what gets placed into the museum is anyone's guess, but it's a good chance that it'll be a lot of art drawn by others, including Jack Kirby.